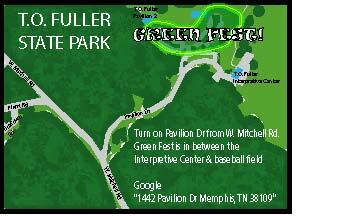 Google "1442 Pavilion Dr. Memphis, TN 38109" Green Fest is between the Interpretive Center and the baseball field. Visit TNStateParks.com/parks/t-o-fuller to learn more about T.O. Fuller State Park! Newer PostCelebrate National Public Lands Month!